Year after year, we continue to both refine and redefine our apparel. Each line brings forth not only new ideas in design and product: each new line further embraces our character and our passions. Today, we're excited to announce the latest from the Lowly Gentlemen, which includes four all-new shirt designs, as well as two new hats, and an art print too, all designed by the hand and pen of Andrew Ritter. 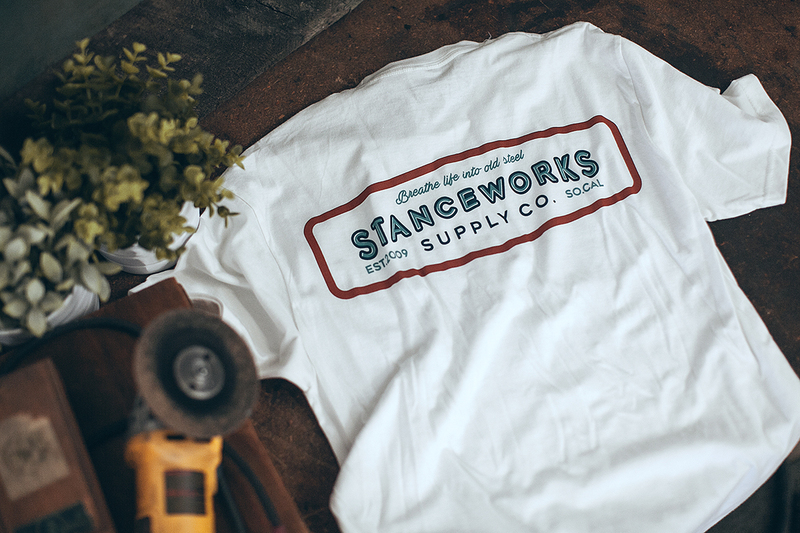 Inspired by the classic racing that saturates our content, and the apparel of the era, the latest StanceWorks tees are, in our opinion, the best to come from our shop here in Costa Mesa, California. Head to www.lowlygentlemen.com to buy. It's always important to carry the essentials, and two of our new tees support just that. 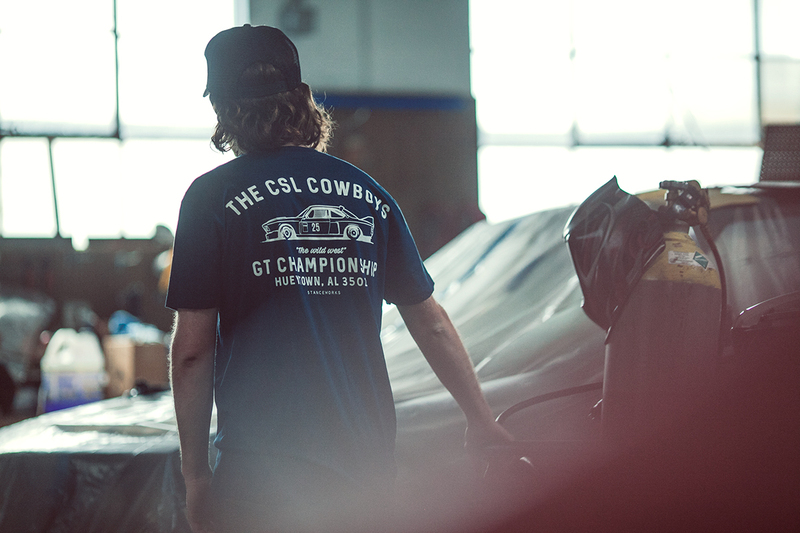 With the rear-graphic tee above, and the front-graphic tee below, we're excited to offer apparel that suits any casual occasion, car-related or not. 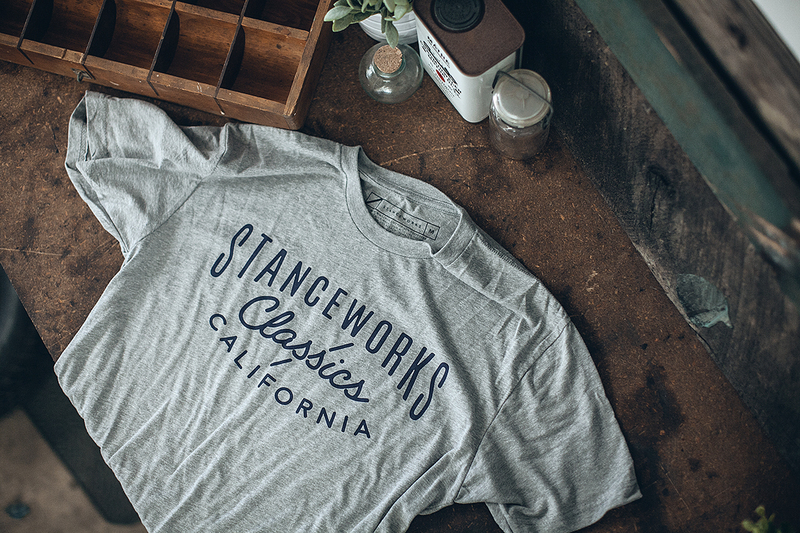 The StanceWorks Supply tee is silk-screened on white cotton, while the Classics tee is printed on heather grey. Diving past aesthetics alone, we've brought forth some history in one of our new shirts. 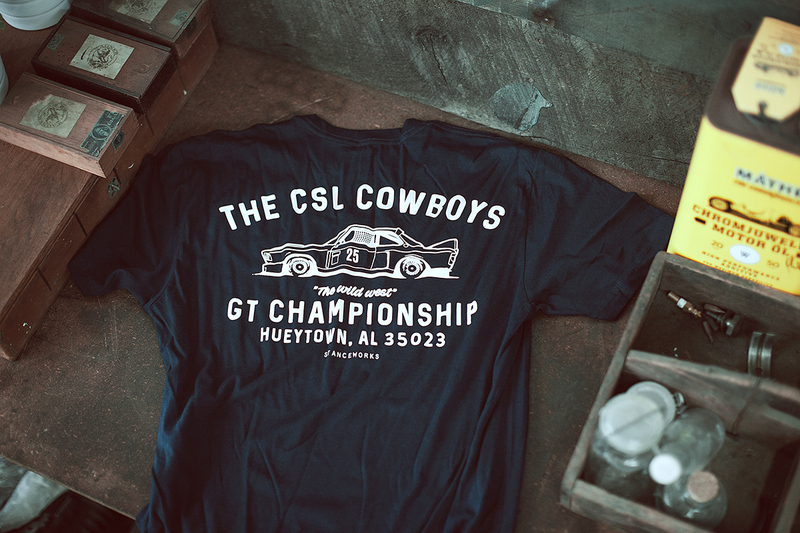 Celebrating the original GT-champion team that piloted the E9 CSLs to victory in 1975, the "CSL Cowboys" shirt reminisces upon their name, know for their antics in the "wild west" as the US was referred to by Germany decades ago. 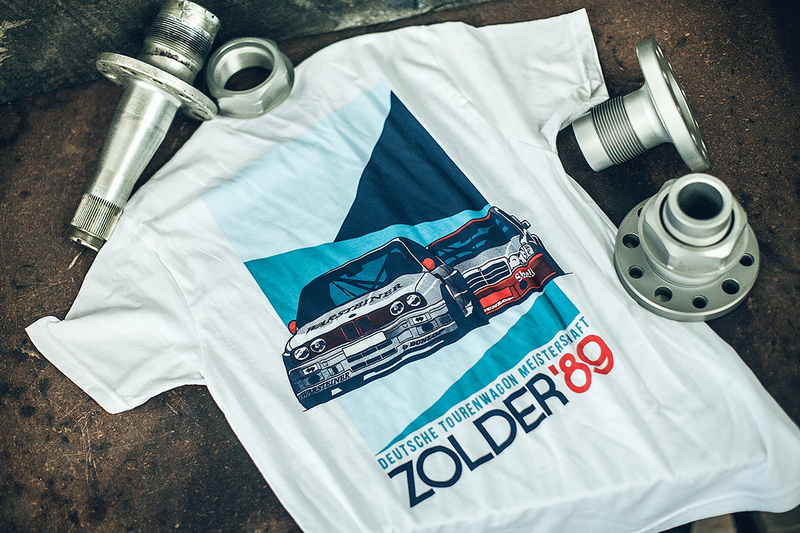 The Zolder DTM tee shares its artwork with the latest art print, and features a battle between the '89 E30 M3 and Mercedes' 190E Evo II on the iconic Circuit Zolder. With a bold colorway and dot-matrix shading, the period-correct artwork stands strong against the white shirt, and lends a nod to the graphic even tees and posters from the era. With the great sales of our hats earlier this year, we've brought about two more. 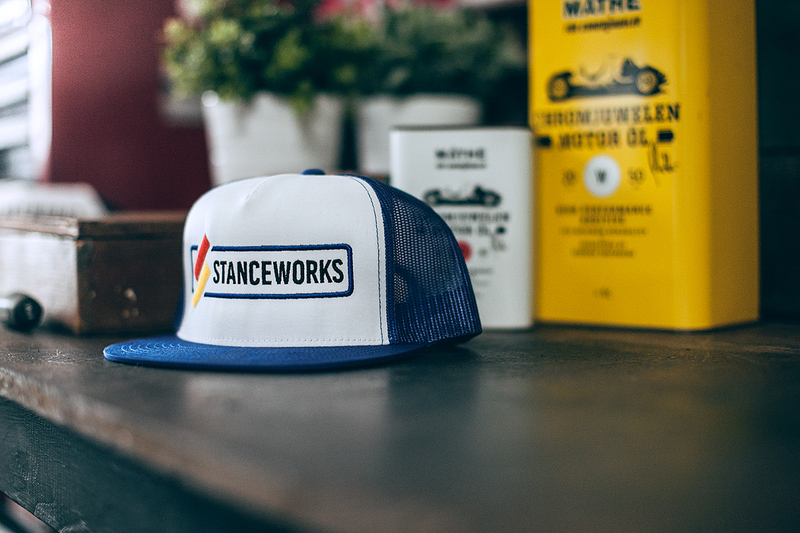 The first features a new StanceWorks logo embroidered on a white-paneled snap-back blue trucker hat. 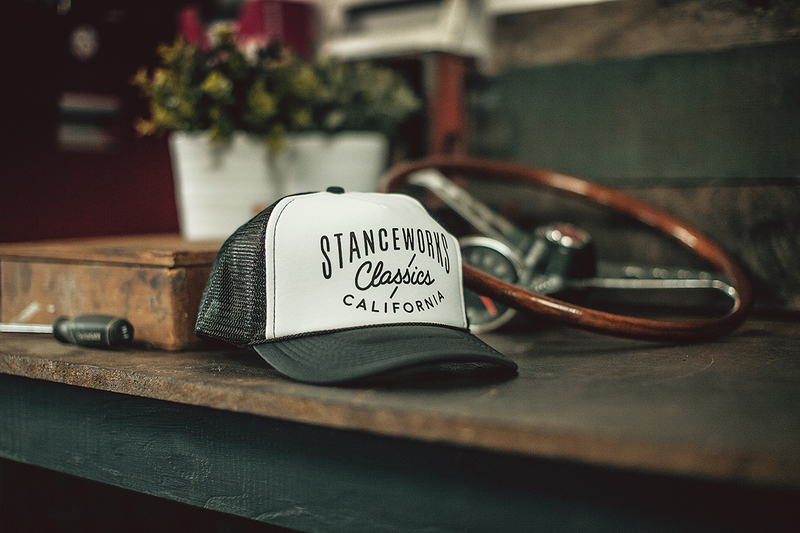 Our second hat, which shares its artwork with the Classics tee, is printed on white over black, with a foam panel gives the hat an old-school feel. Be sure to head to www.lowlygentlemen.com to buy the new apparel and show support for the StanceWorks team, and stay tuned for more on the latest art print.